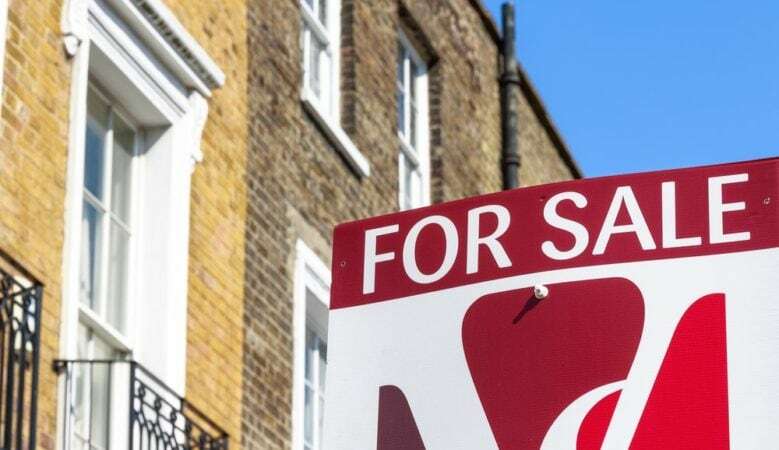 Investing in property in England as a short term measure is no longer better than savings rates due to prices falling, according to new research. Buying property has been seen as an antidote to dismal returns on savings, but the best saving rates now look more attractive than property price growth in some regions in the last 12 months. The research from mutual insurer Royal London says that Land Registry figures show that the average price of a home in England grew by 2.6% in the past 12 months to £247,430 but in contrast the best fixed rate savings bond on the market, according to Moneyfacts, is a seven year bond paying 2.75% a year. And it also points out that the best easy access savings account, paying 1.42%, is enough to beat house price rises in the slowest growth regions of London and the South East. ‘The attractiveness of savings accounts as a store of value compared with property is at an inflection point. Savings rates have been offputtingly low over recent years, as a result of the rock bottom Bank of England base rate. However they have risen slightly as the base rate has increased,’ said Becky O’Connor, personal finance specialist for Royal London. ‘Coupled with a decline in the rate of house price growth, this trend has resulted in the most competitive savings accounts now paying more interest annually than property owners typically earned in the last 12 months,’ she explained. ‘While it is still difficult to beat inflation with most savings rates on offer, if you live in London or the South East, it is now easy enough to beat the current rate of house price inflation with a savings account,’ she pointed out. But she also pointed out that it is important to remember that property or savings accounts are not the only things you can do with your money for long term financial returns. ‘Saving into a pension comes with significant tax advantages and over the long term, the performance of stocks and shares investments tend to outperform cash. Money that goes into a pension benefits from tax breaks whilst money withdrawn from an ISA is tax free,’ she added. The analysis also explains that the returns from an individual property will depend on a number of factors, including where the property is located and whether it is a main home or a buy to let investment. The appeal of buy to let has taken a recent hit as a result of the Government cutting generous tax breaks for landlords. The rate and term of a savings account also makes a difference to the returns and it’s only the very best rates on the market that outdo property price growth over the last 12 months, and it adds that with Consumer Price Inflation currently at 2%, anyone wanting the value of their savings to at least keep up with the rising cost of living needs to beat this interest rate.